Potential2Lettings was setup by Jon Bieri to facilitate the growing demand from landlords who are looking for property management Liverpool. Our specialist lettings and propety management team provide one of the most comprehensive property management packages that can be tailored to suit all landlords. We go to great lengths to keep all our customers happy and our ambition is to build a relationship with our clients that will exceed the length of any tenancy agreement. Setup a direct debit for electronic transfer of payments to the landlords bank account. Resolve any rent issues which may arise during the course of the lease period. Administrate a section 21 notice to the tenants in the event of a default in rent. 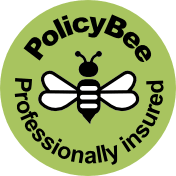 All our tradesmen are fully qualified and insured to carry out maintenance on your property. All repairs will be carried out speedily and efficiently by our professional maintenance team. We provide 24/7 emergency contact number to tenants preventing further damage to the property in the event of an emergency. We act as the first point of contact on rent and property management issues. Our mediation service with tenants helps in the event of a dispute arising with in the property. Prompt action on all issues raised by tenants during the tenancy on rent and property issues. Preparing end of year tax returns statements and invoices to keep your tax affairs up to date. Preparation of monthly landlord financial statements and remitting the balance of rental payments within one week of due date. Our comprehensive letting only service is structured to provide landlords with the means to manage their own property safe in the knowledge that all tenants have been fully vetted and the correct legal paperwork for both the tenant and any guarantor secured. Our Property management service means hands free for you! We deal with everything, from leaking taps to ensuring you are fully compliant with all current legislation. We act as your trusted advisor and as our owner has managed his own large portfolio for over 6 years, we will pass on every single ounce of knowledge to help you SAVE MONEY. Potential2Lettings promise to be the most cost effective letting agency in Liverpool while offering our landlords and unrivaled letting and property management service. Our letting fees include Property Advertising, Viewings, Tenants Referencing, Utilities, Legal and Payments setup. Our property management fees include Rent management, Property inspections, Inventory, Maintenance & repairs, First point of contact and Managing accounts. Our team are very passionate about property and customer satisfaction is our main priority, we believe we have the most ambitious, proactive Lettings and Property management team in the business. We have implemented the latest technology which allows landlords and tenants to leave reviews via Google reviews or Twitter thus providing transparency for all. We want to provide the best quality service to our clients and believe that the best way to grow our business is through referrals and recommendations. Check out our recent testimonials and see for yourself. of our team is waiting to take your call. Potential2Lettings opening hours are Monday - Friday 9.00 am - 5.00 pm. We conduct after hours viewings on Saturday which are appointment only. Liverpool is a vast city with a long history and a large population. As you would expect there are property markets within markets and as an investor you need to understand the difference between them all when investing in a rental investment property in Liverpool. Property Investment in Liverpool, covers a large spectrum of property type as you would expect of such a large city. You have lots of city centre flats, you have some detached property, you have a good number of semi detached, but in the main you have rows and rows of terraced houses. Check out my article on the insight into the Liverpool property market. Don’t worry though there are plenty of other rental investment property in Liverpool. Broadly speaking, the north of the city has lower value stock, where you will get higher yields and the south of city the opposite, higher value stock with lower yields. So it all depends on your current situation and needs to where you place your investment. Typically in the north of Liverpool, you can pick up terraced investment properties for circa £60,000 requiring minimal work, letting agents will rent out these properties for £450 PCM. In the south of Liverpool, expect to pay circa £120,000 and your typical letting agent will be renting this kind of property out for circa £600. Letting agents will be able to find suitable tenants for you and manage the property on a month by month basis for a monthly fee. Apart from price, if you speak to local letting agents in Liverpool, they will tell you, there are other differences between the north and the south Liverpool property investment market. rental investment property in the north of the city is more problematic, as this area of Liverpool is more deprived so getting deposits (remember it is now a legal requirement that all deposits are registered in a scheme) is more difficult which increases your risk as a landlord. That said, Investing in rental property in Liverpool (the north of the city) has been very good for me, however I really understand the Liverpool property investment market and what to watch out for. If you are going to purchase an investment in the north of the city, invest in a good letting agent, someone who knows the market well. If you try and operate the typical approach (1st months rent and deposit), you will probably have an empty property for a long time in the north of Liverpool. This is why many investors who invest in Liverpool property investment market get in wrong. They think the same rules apply in all parts of the country, but they don't! Remember one bad experience with a tenant can cost you thousands of pounds, so having a good letting agent on board is pivotal in my opinion. When investing in a rental property in Liverpool, a good letting agent will cost you on average £1.50 per day! However, here again, you should not rush in and pick any letting agent in Liverpool!! Make sure the agent knows the north of the city well, as I said at the start there are markets within a markets! Don't let anyone take control of your investment property and leave you empty handed at the end of the month. What's the point finding a bargain of an investment property, which is then mismanaged by a letting agent or yourself, causing you lots of distress and frustration and may mean that you even sell the property for a loss. Buying the property is almost the easy part, the day to day management is the tricky part. When handled correctly that first investment property in Liverpool can lead to a second, third and fourth investment property, which is exactly how I got started. By managing my investment properties in Liverpool correctly it helped me increase my cash flow and ultimately put me in a better position to buy more. Think of it this way, if you want some teeth out or you need to have a serious operation, do you want to use someone who is reading from a text book, or someone who has lots and lots of experience of carrying out difficult procedures? I know which one I would choose. Property management in Liverpool is very much like this, there are lot of letting agents doing it, but very few who have the long, direct and successful experience at doing it for a number of years....this is your future, do your due diligence on your potential letting agents. Don't assume all letting agents in Liverpool are the same. I understand all the different aspects of investing in investment property in Liverpool, it's second nature to me, whether it be finding tenants (I have vetted hundreds), dealing with repairs (I have renovated in excess of 40 houses), understanding all the procedures required for the smooth running of your property. You name is I have done it! I have helped so many landlords, turn their struggling investment property portfolio's around, turning unhappy landlords into happy ones. If you are a landlord , a bad experience can cause you to want to sell your property. That's a real shame because you maybe throwing your future away, all because your property has been mismanaged by a Liverpool letting agent or yourself. Some of my landlords have had property investment all over the country and have struggled with voids and empty rooms. We have helped them to find and vet local professionals to help them manage their investment portfolio. To conclude rental property investment in Liverpool, can be very lucrative, if you select the right partners to work with. If however you decide to invest in Liverpool and either do in yourself or work with the wrong people, it can be the beginning of a real nightmare. Remember I am always happy to talk to anyone who want to invest in the Liverpool market. It's far better to consult my advice prior to making a Liverpool property investment, rather than contacting after the event, to handle any subsequent problems! Happy investing (in rental investment property in Liverpool)!! Whether you are an experienced landlord or just starting out on your property journey, you should to look to buy investment property in Ellesmere Port. I’m going to talk about why in this article. I think it’s fair to say, Ellesmere Port has suffered from under investment over the years. You might think it odd then that this is a reason to buy investment property in Ellesmere Port. Not at all, you want to invest in areas that are ripe for re development, after all once an area has been redeveloped prices go through the roof. You can buy cheap property in Ellesmere Port now, but how long for? Especially with Peel Holdings announcing a massive project and also the town centre getting funding approved for a big make over!! These are very attractive, there is plenty of cheap property in Ellesmere Port for you to invest in. You can buy little terraced properties for rental, both before and after the Westminster bridge for between 50 and 70k, depending on how much work they need. Obviously you wouldn’t be expecting to buy investment property in Ellesmere port or any other area without at least a small paint job J However, a cheap property doesn’t necessarily need a great deal of money spending on it. Once bought you can be confident a local letting agent will be able to rent your 2 or 3 bed terrace investment/rental property for around £550 PCM. You can see how a yield of circa 10% is achievable when you buy investment property in Ellesmere port. What are you waiting for? Still not sure where to start? Got more questions? Why not get in contact with a local expert letting agent. We are always happy to answer any questions on why you should buy investment property in Ellesmere Port. The success of your rental business depends on choosing the right lettings agency. There are many property rental agencies in Liverpool but they are certainly not all the same when it comes to quality of service. If you are a landlord looking for the best management of rental properties in Liverpool then look no further than Potential2Lettings. I can name many other Liverpool property rental agencies that are just interested in earning a quick buck and will set you up with the first tenant that comes along. We (at Potential2 Lettings) are dedicated to finding the right (and long term) tenant for you. Before anything is finalised tenants will be thoroughly vetted with a fine tooth comb. This gives you the best possible chance of having a reliable, trustworthy tenant living in your property. When it comes to the management of your rental properties in Liverpool we excel here as well! Over the last 10 years, whilst growing their extensive multi million pound portfolio, we have found the best contractors to work with. This means if any work needs doing on your property a trusted contractor will be called out to do any repairs. You can also contact us 24 hours a day on an emergency number when any damage occurs. Another important item to consider when trying to find good property management in Liverpool is the way they deal with DSS payments. A DSS tenant will be someone claiming some sort of benefit such as unemployment benefit or income support. These tenants will have their rent paid by the local authority . Some Liverpool property management companies wait for the money to go straight to the tenant so that they can then pay the rent....the obvious big danger here is that the tenant doesn't pay the rent! Don't get me wrong many DSS tenants are trustworthy and make regular payments however there are some that will squander rent money which leaves YOU (the landlord) out of pocket. The difference between these other rental agencies in Liverpool and Potential2Lettings is that we have a dedicated DSS team. This team works to get the money paid directly to the landlord; so no more missed payments! Landlords also often complain (rightly so usually) about how little their property is inspected....Potential 2 Lettings take inspections seriously. We carry out thorough inspections, crucially we carry out the 1st inspection after the new tenant has been in the property 2 months. Landlords are also provided with a comprehensive inventory of furniture and fittings. This dedication to keeping your property in top condition is just one of the things that set us apart from some of the other companies dealing with property management in Liverpool. A landlord wants a company that will not only find the appropriate tenants but be there for you when you need them, your trusted advisor at all times. For a top quality Liverpool property management service, the only place to go is Potential 2 Lettings. P.S There are no additional charges when you use our services, we don't charge hidden fees, you get our full property management in Liverpool for a one of fee per month! As I have mentioned previously mentioned in other articles, Liverpool is a vast city and like many other vast cities you can broadly describe it has having a north/south divide and this is especially true when it comes to property. Liverpool is increasingly hitting the headlines as a hot spot to invest. But this doesn’t really help you the investor. You need to know where to focus your attention but without local knowledge this is literally like trying to find a needle in haystack!! This article is about investing in property in the South of the city. Each investor has different requirements and investing in Liverpool south will not be right for every investor at this point in their journey but it will be for some. Firstly, let’s make some observations about Liverpool south. When we talk about Liverpool south we are talking about the following postcodes, in most affluent order. It’s a very popular location in which to live and work. It has arguably the best green areas in the city, of note are Sefton park, Princes park and Otterspool Prom. Equally it has some the best places in which to eat and drink....Lark Lane is probably the most famous example of this. On top of which the journey to the city centre is less than 10 minutes in taxi and 30 minutes by bus. In short people really want to live here. Inevitably because of the above prices tend to be higher, so it’s not affordable for everybody. The crude end result being you tend to get a lot more professionals living in this location. What about property prices is South Liverpool? Looking at Proviso statistics for the period Jan 2012 to Dec 2012, the average price of a terraced property in L17 was £141,760 where as in L20 it was £69,500. In terms of rents these are probably £700 (L17) and £450 (L20). As an investor you will need as a rule a 25% deposit to get started. In reality to consider investing in prime South Liverpool investment property you will need circa £35,000. This may rule some of you out, but of course you can still invest in other parts of Liverpool, which we would still be happy to help you with as we cover a wide area. Of course if you fall into the category of having £35,000 available, you may wish to consider buying two properties in the North of the city as opposed to one in the South. After all your returns are going to be greater on this basis arn’t they? The short answer is it depends.....although it’s true that south Liverpool letting agents fees are similar to those in the North, you need to consider other factors. When you rent a property in Liverpool South, you tend to have better protection in terms of deposits and guarantors and shorter void periods...so your risks are less when you invest in South Liverpool investment property. Also your tenant profile is likely to be lot different in South Liverpool, for instance it’s less likely they will be in receipt of housing benefit, so if you don’t want a housing benefit tenant, this is your best bet. Clearly then when deciding to invest ie North or South, it’s important to consider your attitude to risk, as well as your investment goals. On a personal basis I am starting to invest more in South of the city now for some of the reasons listed above. As an investor who has bought a property and who doesn’t want to manage the property themselves, the next stage is to find a local letting agent, so you will now need to find south Liverpool letting agents. South Liverpool letting agents, what are their prices and fees? And how can you select one? There are lots of agents in South Liverpool, and their fees are very similar, however the value they offer is very different. Find yourself an agency owned by a full time landlord (hyperlink), someone you can go to with whatever property problem or investment problem you might have....AND WILL KNOW THE ANSWER. It’s difficult to put a value on such things. I’m always here to help you on your property journey. Jon Bieri Potential2Lettings, Call me any time on 0151 356 7551. We all love a bargain, don’t we! After all the cheaper something is, the better value, surely?! Well no it’s not quite that simple. There is plenty of cheap investment property in Liverpool, I guess though I should also clarify what I mean by cheap investment property. It’s fair to say that when I say cheap investment property I mean low value, poorer quality, property that comes with more headaches and problems. In terms of numbers we are talking about cheap Liverpool investment property that is valued under 100K and can even be as cheap as £40,000. I’m not saying don’t invest in these areas, but I do want to highlight some of the big risks you will face when investing in cheap investment property Liverpool. What areas (postcodes) are we talking about? Generally we are talking about property in the following postcodes L4,L6,L20,L21,L5,L9,L11. Some parts of L7 will fall into this category as well, although there are lots of lots of good potential in this area, in terms of investing in student property. How easy is it to rent property in these postcodes? Ok so you have bought your cheap investment property in Liverpool and are now ready to put a tenant into the property. This is where is can get tricky. Depending on where you are on your property journey, this may or may not come as a surprise……. You will struggle to get the 1st months rent and a good size deposit from tenants in these locations. So long as you know what to look for however you can still do well. This is simply because these are poorer areas ie people have fewer jobs and the jobs are generally lower paid. So if you hold out for a big deposit and 1st months rent, you may have an empty property for a long time….empty properties come with big risks. What about if I use a letting agent in Liverpool to manage my property? Unfortunately this doesn’t guarantee that you will rent your property quickly. If the letting agent you decide to use is also determined to get the 1st months rent and a large deposit, you will still be in the same position. You need an agency that understands the market you operate in. I have been investing in these areas for 10 years, I understand the risks and know how to manage the risk. If you have a bought a property in these areas and are struggling, I will help you. Equally if you are looking at buying cheap investment property in Liverpool I will also help you. You could say cheap investment property Liverpool has been what my business has been built on! If you make mistakes early on by buying cheap investment property in Liverpool, it may put you off the idea of ever doing it again. That would be a real shame, as I feel Liverpool has massive scope for capital appreciation over the next 10-20 years. However cheap Liverpool investment property must be managed correctly for you to get the most from this massive capital appreciation which is surely long overdue to Liverpool. I have also produced a article on the Insight into the Liverpool Property Market which will help you get started. I’m always here to help you. The success of your rental business depends on choosing the right lettings agency. There are many Liverpool property rental agencies but they are certainly not all the same when it comes to quality of service. If you are a landlord looking for the best management of rental properties in Liverpool then check out Potential 2 Lettings. Some other Liverpool property rental agencies are just interested in earning a quick buck and will set you up with the first tenant that comes along. Potential 2 Lettings offers a letting only service concentrating on finding the right tenant for you. Before anything is finalised tenants will be thoroughly vetted. This gives you the best possible chance of having a reliable, trustworthy tenant inhabiting your property. They also ensure that all sides have the correct paperwork and will provide landlords with copies of all documents. When it comes to the management of your rental properties in Liverpool Potential 2 Lettings excels here as well. Over the years, whilst growing their extensive portfolio, they have found the best contractors to work with. This means if any work needs doing on your property a trusted contractor will be called out to do any repairs. You can also contact them 24 hours a day on an emergency number when any damage occurs. Another thing to consider when trying to find a property management company in Liverpool is the way they deal with DSS payments. A DSS tenant will be someone claiming some sort of benefit such as unemployment benefit or income support. These people will have their rent paid by Social Security. Some Liverpool property management companies wait for the money to go straight to the tenant so that they can then pay the rent. However, this means relying on the tenant to then use that money for the correct purposes. Although many DSS tenants are trustworthy and make regular payments there are some that will squander rent money which leaves the landlord out of pocket. The difference between these other Liverpool property rental agencies and Potential 2 Lettings is that they have a dedicated DSS team. This team works to get the money paid directly to the landlord; so no more missed payments! Potential 2 Lettings tenants often rent properties for over 3 years so are a reliable source of income. Instead of occasional inspections that consist of not much more than a cursory glance, Potential 2 Lettings take inspections seriously. They carry out thorough inspections ever quarter with detailed inspection reports going to the landlord at the end of the year. Landlords are also provided with a comprehensive inventory of furniture and fittings. This dedication to keeping your property in top condition is just one of the things that set them apart from some of the other companies dealing with property management in Liverpool. A landlord wants a company that will not only find the appropriate tenants but be there for you when you need them. For a top quality Liverpool property management service, the only place to go is Potential 2 Lettings. Here we have an info-graphic from Stoke Surveyors. They kindly allowed us to share this info-graphic that shows you a snapshot of the growth in the property market and puts the realisation into the prices. We hope you find this content useful, we did and it helped validate that investing in property is one of the best sources of income. House prices are still on the rise and if you look back at property prices it has not taken long since the 2007 crash to break through that barrier. Could you imagine if every day groceries was really that expensive? As I have owned a large portfolio of investment properties in and around Liverpool for the last 10 years or so, landlord insurance costs is an area I am very much familiar with, in this article I am going to show landlords ways in which they can reduce there premiums. In this article I am primarily, focussed on landlords who own multiple properties, as the savings can very substantial the more properties you own and portfolio landlord insurance won’t be available to all, i.e. it will depend on the number of properties you own. 1. Do you have a standard excess? Does your portfolio make lots of insurance claims? I have an excess of £500 on my properties, this is because I don’t make small claims, and this is because it takes time and effort making claims and can disrupt the re-letting of your property. You could increase this to a £1,000 perhaps. The point is…the excess can be changed. Get your landlord portfolio insurance broker to play around with these figures and see what difference it makes to your insurance premium. Also if you regularly make smaller claims, think about the time and effort this takes and also the potential impact on your landlord insurance renewals costs. Is it worth it? 2. Rebuild cost……. I can build a castle at those prices! It’s an area I had not paid much attention to until recently. You know the term index linked? Well it seems short hand for being over protected, over insured and thus over paying for your landlord portfolio insurance! Review all your rebuild costs, it is really going to cost that much to rebuild that house in that area. Remember who initially set these figures? Yes, the surveyor (the very risk adverse surveyor) who initially valued your property. Remember value and rebuild costs are too very different values! If you rent to tenants on housing benefit, some company’s will either refuse to quote or hike up the premium, so shop around and find someone who is used to dealing with this sector so you can get effective rates for your portfolio. Whatever you do, don’t lie and say you don’t rent to housing benefit tenants, when you actually know the insurance company specifically prohibits this tenant profile. And if you are unsure, double check, because if you ever come to make a claim this will invalidate your insurance. Over the years I have substantially reduced my portfolio landlord insurance by using the above methods. If you want to discuss this further feel free to contact me, as I can put you in contact with my insurance broker. Houses in Ellesmere Port, Are You The Right Tenant? We are constantly getting asked for houses in Ellesmere Port. The demand for houses in Ellesmere port is sky high. As both a private landlord and letting agents in Ellesmere Port, we have houses for rent in Ellesmere port. And you will be pleased to know, you don’t always need a massive deposit! What kind of tenants are we after? We understand how expensive houses for rent in Ellesmere Port can be. Our approach is more flexible than most other letting agents in Ellesmere Port….we feel we have the flexibility of a private landlord but with the professionalism of a letting agent. What we value most is your record as a tenant. If you know you have previously been a good tenant, we look very favourably upon your application. If you have not looked after your previous houses in Ellesmere Port, there is no point in applying to us. Most of our tenants tend to stay long terms, so again if you are looking for a long term house, we will probably be the right letting agents in Ellesmere port for you. This is because we look after our tenants and properties. Housing benefit it also accepted on most of our houses for rent in Ellesmere Port. We will also accept tenants who have pets. Again this is so long as there have not been any issues at houses you have previously rented. What kind of houses in Ellesmere Port do we have? Most of our properties tend to be terraced houses, although we do have some other properties with gardens. Usually there is only on street parking. All of our properties are well maintained and when your report an issue to us, you can be sure we will not forget about you! The vast majority of our houses are fully double glazed and have combi boilers and we pride ourselves that none of our houses have any damp issues. It’s very straightforward and there is no cost to apply! We only ever take a fee off you, if you are successful in applying for the property. Hopefully you can see why we are the easiest letting agent in Ellesmere port for you to rent a house from. We are not like most other letting agents in Ellesmere Port. The Liverpool property market is a far cry from the catastrophic lows of the 1980’s. It is very much a property market on the up. In the 1980’s people were leaving the city in droves, the city centre resembled a bomb site and Henry Enfield was famously mocking us with his ‘calm down’ sketches (google it if you are unsure of the image!). Then something miraculous happened, we were given Objective One status from the EU. Since then over 2 Billion in funding has flowed in from this source. This was the catalyst which has helped transform the Liverpool property market. I’m from Liverpool, so I have seen at the first hand this transformation. A property market will rise or fall depending on how well the local economy performs, put simply the stronger the local economy the stronger the property market. The Liverpool property market is no different. Once a city’s economy begins to ‘buzz’, as night follows day, the property market will also begin to buzz. What’s the evidence that the Liverpool economy is buzzing? Liverpool is the ‘go to’ place.Liverpool is now the 5th most popular tourist destination in the UK that people from around the world want to visit! It has three fantastic Universities, year on year the number of students coming to the city is increasingly. They all have money to spend, and they all need places to live! Liverpool has over 50,000 students! Liverpool2, this is Peel holdings development of deep water container terminal. It doesn’t sound like much but it is expected to add 5 billion to the local economy! Liverpool turnaround terminal, this has allowed cruise liners to dock in the city and unlocked the spending potential of all those aboard! The latest Liverpool Business Survey only echoes the positive business sentiment in the city. From the 850 firms that participated, 82% believe that Liverpool as a city will grow over the next five years; whilst 58% feel that their own business will developThis is no real surprise though when you consider Liverpool is the second fastest growing city in terms of the digital economy. So yes the Liverpool economy is buzzing and now it’s time for the Liverpool property market to buzz too. The signs are there already. But Liverpool still has a lot of catching up to do, which may suggest this is very much the right time to invest in the Liverpool property market. Liverpool still has not reached the peak levels it was at in 2007. George Osbourne, talks about the Northern Power House and Liverpool is a big part of this. When you consider all the above, you too may consider Liverpool of the best places to invest in buy to let in the UK. Deciding where to invest is half the battle. The investment market in Liverpool is varied. See my other posts for a more detailed analysis of the different investment markets and properties in Liverpool such as Rental Property Investment In Liverpool. And ensure you have the right person and/or company on hand to correctly manage your investment property in Liverpool. Think about this before you invest not after! Do you have £70,000 to invest and want to quit your JOB? We have produced an info graphic explaining exactly how to invest £70,000 into property and retire from your JOB with just 4 properties. If you have any questions feel free to leave a comment at the bottom of this post. Potential 2 Lettings is providing example figures in an ideal situation. Potential 2 Lettings does not accept any responsibility on actions taken. Anything gained from this infographic is to be used at your own risk. Potential 2 Lettings is not a financial advisor and we recommend you discuss this with your appointed Financial advisor before taking any action. Today we have an info-graphic from our friends over at the UK Insurance Net, We have shared this content with you because its relevant to see what is occurring in the market with first time buyers and the rise in private landlords. It's also interesting to see the growth property has had since last year. How does this compare with your own property investments. As a landlord, you will have many safety regulations that you need to meet. But, being a landlord is more than just about ticking boxes. Landlords take the health and safety of their tenants seriously – or the majority of reputable landlords do. But, the comfort of your tenants is just as important. Looking after the people who pay the rent is one thing but the bricks and mortar is an important asset too. If the fabric of the building is allowed to crumble and crumble, you are in effect, allowing your investment to dwindle away. Dwindwling assests = dwindwling money= less money for your retirment. There are many things that you can do to invest in your property, as well as look after you tenants. Providing them with a reliable source of heat is just one of them and so, opting for both a modern boiler and regular servicing from engineers such as Evans Energy Solutions is one of them. Under the Gas Safety (installation and Use) Regulations 1998, it is the landlord’s responsibility that each of their properties rented to tenants must have a current gas safety certificate. This is just one of many annual checks that needs to be performed, the other being the electrical safety checks. A recent law in England, the Smoke and Carbon Monoxide Alarm (England) Regulations 2015 is another. Pipework, appliances and flues must be in a safe condition. Anything deemed unsafe must be repaired or replaced. Gas appliances also need to be serviced, and done so on an annual basis. Gas safety checks must be completed on every let property that you won on a 12-month basis and a record of these checks accurately maintained. As a landlord you need to keep these checks safe but, you also need to share them with your tenant within 28 days of the check being carried out, or given to them as they move in to the property. You must keep copies of these checks for a minimum of two years. Fail to do any of this and you could be faced with a hefty fine or even imprisonment. It applies to property even if it let out for only a short period of time, such as holiday lets as well as caravans, chalets, narrow boats and so on. Of course, these legal requirements are about keeping tenants safe, as well as protecting landlords too. But peace of mind is also important and even if a gas safety check was not a legal requirement, most landlords agree they would still have an annual check and inspection of the boiler at a rental property. We have all read the tragic stories of fatalities as a result of unsafe gas appliances giving off carbon monoxide fumes or build of gas causing catastrophic explosions. The sad fact is that a lot of these incidents could have been avoided if the gas appliances had been checked and serviced annually. Just like the boiler in your own property, an annual service will mean that it runs more efficiently and should avoid too many breakdowns. All this of course makes for happier tenants but happier landlords too, as you won’t be receiving phone calls in the dead of night complaining that there is no heat or hot water. In the long run, a well-maintained boiler not only works better and is more efficient but also lasts longer. For example, you may have invested in a new efficient boiler that makes your property a far more energy efficient one. You have new tenants moving in but you want to safeguard this investment; after all, it makes sense. Just like boiler maintenance and servicing in your own property, an annual service can in the long run, means that the boiler lasts longer. Parts can be changed as and when needed; the system can also be flushed to promote a better, more uniform heat in the property with no cold spots and generally, everything in terms of the boiler runs far smoother. Regular boiler and gas safety checks may be a legal requirement for landlords, but many people view it as being something more than this. It is about protecting the tenants – after all, their rent should be invested back in the property – but also protecting your investment in the property too. There are advantages for the tenant too; as well as peace of mind they will also enjoy the maximum efficiency from a boiler, with very few problems or breakdowns. If you think cutting corners is the right way to increase profits on your rental property, think again. Investing in your property is key to increasing your profits. This investment should be a constant activity, however when every tenant leaves you or your letting agent needs to undertake a full review of the property to ensure it's 'hitting the mark'. However once your tenant has moved into your property, your investment doesn't stop. It's very important that you or your letting agent, deals with any issues quickly, if and when they emerge. A small leaking gutter, may seem like a small problem to you, however for a tenant (especially in winter) this could be serious problem. Deal with small issues, so they don't become big issues (and vitally don't start to sour the landlord and tenant relationship). Property Damage & Rent Arrears....More Common? In March 2017, a report from the NLA found that 37% of landlords had experienced arrears in the previous 12 months and 31% had property damaged. Does this mean tenants are worse than they used to be? I don't personally think tenants are any worse than in the past, so what accounts for the 'high' figures? This is a very wide category. Rather than being malicious or serious this damage could be accidental and very small scale. It could also be that over recent years we have seen more accidential landlords who may quite frankly misundertstand what accounts for property damage and what is actually 'fair wear and tear'. Again this is a large category. However what I would say is, economic conditions have been very strained over the last five years. I know 1st hand this has had an impact on tenants' ability to pay rent. There is no magic wand to remedy the above occuring. Just like tax and death they are rather unavoidable. The solution is see problems early and take action early. Thise means you need to see the warning signs, the amber light if you will. By the time you see red, it's far too late!! If a problem happens manage is correctly. Is it part of a bigger problem? Do I need to take some action Now? Do I need to get some advice Now? In law you as a landlord have to follow certain procedures and guidelines to ensure you are always being fully compliant in the eyes of the law. This means if you wish to obtain possession of your property, you have issue the correct information in the correct format. Equally, if a tenant wishes to bring a tenancy to an end. They too should follow certain procedures. At the end of a tenancy, a tenancy 'goes periodic,' that's obviously if the tenant stays in occupation....they can if they wish leave on the last day of the fixed term without giving you any warning you! When a tenancy goes periodic, it means the tenancy will run from month to month or week to week or whatever time period you specified rent to be paid at the start. Most tenancy agreements will stipulate that the tenant should give you notice ending at the end of a rent period. If your rent is paid per calendar month this means they should give you one full calendar months notice and that it should begin and end in line with when rent contractually falls due. If you have a tenant and their tenancy started on 15/04/2018 who rings you up on 01/05/2018 wanting to leave at the end of the month, who should politely remind them that their notice can be accepted today but their contractual tenancy end date will not be until 14/06/2018. If you agree to the tenant leaving early (ie agreeing to reduce their contractual liability), it also means that not only will you potentially lose rent, but also you will be liable for all utilities at the property from the date you agree to the tenancy surrender (tenancy surrender is when you allow a tenant to leave early without further liability). And guess what, the council may still try and charge you council tax from the date they vacated the property. In this situation it is very important you have a term in your contract stipulating that your tenancy agreement has become a 'contractual periodic tenancy' and not just a 'statutory periodic tenancy.' Using the exact wording is very important is such contestations with the Local Authorties. As a landlord don't sell yourself short and use whatever tools you can to increase your rental income, the next property repair bill is never far away! EPC ratings, who cares? So long as you have one, no one really cares do they? Well on 01/04/2018 the law changed and it became illegal for anyone to rent a property with an EPC rating of E or lower. The knock on consequences will be that if you want to take a mortgage on a property or refinance an existing one, you will have to meet the above criteria. Of course, most properties NOWADAYS will be an E or above but there are two important factors to bear in mind. 1) You may have had an EPC done many years ago and subsequently upgraded a property, however the existing EPC will still be a low rating. In fact your property could now be the best property on the block but with an old EPC rating you may not be able to refinance! For the record an EPC needs to be done at least every 10 years. 3) There are lots of economical ways to increase your EPC ratings. For instance fitting loft insulation can have a good impact and even fitting LED lights will give some extra points. In short it's worth checking all of your properties to see what their current rating is. And of course, it's been law since 01/10/2008 that a tenant should be given a copy of the EPC. This is a term you hear lots of those in the corporate (big players) world speak of. Could they really be talking about your little two up two on Acacia street??? Well, yes they are actually. You have an assest and you need that asset properly managed. However you should not confuse property management and asset management, although familiar they are not the same.You need your lettings agency to be very good at both. You will know what good property management is, or certainly what bad property management is! In essence it's making sure you have a good tenant who looks after your property and pays the rent on time. Whilst at the same time, keeping abreast of the countless laws and peices of legislation you have to comply with as landlord. There are literally hundered of matters we as agency have to attend to, for instance simply moving a tenant into a property, we have to: Check the applicant has a'right to rent/reside here, provide relevant tenancy deposit information and then register deposit, provide a copy of a valid gas safety certificate, provide a copy of EPC certificate, provide a copy of the latest version of the 'How To Rent' guide, ensure all utility providers/local authorities are notified of new tenant information, assess the properties for hazards and dangers and complete an inventory. This is just what we call the 'move in' stage, there are many other stages, so you get my drift! This is different to the above in that sometimes you may need to sell a property. Timing the sale is important and making sure you are making the right decisions given your overall position. When I say position, this will take into effect your age, your other properties, your tax position. A good lettings agency, should have a degree of understanding of you and your position. To this extent, they act as advisors and as someone who if they don't know the answer from a fiscal or finance/accountancy point of view, they can at least point you in the right direction. This means giving you honest advice even when it's possibly against their own interests. A letting agents business is renting out property, so if you bring up the idea of selling, some letting agents may steer you away from this. And this is why I say it's vitally important you don't confuse the two terms. Now you understand the two terms, work hard at finding a letting agents that is good at both, the relationship gained will be well worth the exercise! Section 24- The biggest change to landlords for a generation has already started! Most landlords use mortgages to invest in property. And if you do use mortgages to invest in property, this article may well be of interest to you. The backdrop is that, the goverment announced in the Finance Act 2015 (section 24) that mortgage interest would no longer be a fully deductible expense from a tax perspective. This change was to be phased in, the full effects being felt from 2020. Up until now, like other expenses, any mortgage interest you paid could be claimed as a legitimate expense and thus not taxable. However with this change in the law all higher rate tax payers will be pay more tax and also lots of individuals currently in the 20% tax bracket will also pay more tax. Being pushed into higher tax brackets could also affect child tax credits and student loan repayments. Many households will need to do to some careful calculations to see how they will be affected. Many may no longer view the 'hassles' of property ownership worth the journey as other aspects of their life/tax affairs become directly affected by their property ownership. This will no doubt reduce the number of accidental landlords and those who own only a small number of properties. Especially when you consider the number of other pieces of legislation/regulations landlords have to comply with. Unfortunately, many individuals who very sensibly decided to invest in property as a means of having something to fall back on when they retire, may now be forced to sell. However, there are a number of courses of action a landlord may choose to take to try and reduce the effects on these changes. This list isn't exhaustive and it's always a good idea to try and network with other investors to see what strategies they are looking at. As I said at the start of the article, these changes are already occuring and those affected need to get a plan in place quickly, as no plan could have severe consequences. And remember as property is not very liquid, if you think selling one or more properties is a serious option, you need to factor in how long it will you to actually implement. For instance if a property is tenanted (and you want to sell without a tenant which is usually best), you need to give at least 2 months notice, then get the property ready for selling, then pick an estate agent, then find a buyer, then hope the sale doesn't fall through (1 out of 3 sales fall through). You are looking at 6-12 months! I hope this articles was of use. Happy investing. *Disclaimer: The information presented in this article is with information title only. Each landlord’s situation is unique and you should seek professional tax advice before implementing any measures. The information in this article is not intended to be a source of tax advice. This week we have had a couple of examples of why it pays to always act in a decent manner with whoever you are dealing with. When I say decent manner I mean doing the right thing and not necessarily the thing that might make you the most money in a short sited/short termist way. A contractor who we had recently started to use, met me on site at a property to discuss a new job. We got into a long conversation, the main part of which was him discussing his frustation with a fellow letting agent as they were always paying him late. He said we were his best payers. I was happy with the compliment but even happier when he said he had recomended us to another landlady he worked for! We started recently using another EPC consultant. When we initIally spoke on the phone, he gave me a price of £70 + Vat for an EPC. He seemed surprised when I without hesitatoion agreed to this price. Whilst this was more than we normally pay, I needed the job doing and quite frankly it wasn't as if I felt I was being ripped off.....obviously we always need to guard against individuals who charge too much and don't deliver! Already we have built a good relationship and he has given me some really good advice. And guess what he has also recommended us to another client of his!! Business is always that much easier when you work with other good professionals, professionals who understand the value in each other and will want in turn for each other to succeed!! Converting commercial property to residential...Where to start? As you drive around your city, looking at disused former pubs and other buildings, you might be missing a trick. There are lots opportunities in such buildings to realise high cash flowing assets. And sometimes you will not require planning permission to convert and even when you do require it, as the governments National Poilcy Planning Framework makes the resuse of such buildings a priority, you are likely to get it. However you will 1st of all, need to understand if there is a potential deal to be done. As in all matters understanding the financials is key. 1. How much might the building be worth? You 1st all need to get an idea of how much the building might be worth once it has been developed. Many such buildings will be valued on an 'investment value' basis. Such values are derived at by looking at the total rent achievable and then mutiplying this by the Years Purchase (or in more simple terms you take the rent x divide by the yield then multiply x 100). To work the typical yield out for such a property, look at the rents achieved for similar units/tenants and what prices such properties may have sold for. As a rule of thumb, the better the tenant in occupation then the lower yield, as this presents less risk to the investor and so the return is typically less. 2. How much might the building cost to develop? You need to establish what the per square footage cost is to build in your local area. N.B you may not think you are building but in reality the costs for major conversion work will be very smilar to build costs. It's vital here, that although such build costs (per square footage) may seen very high when you compare it perhaps to smaller refurbishments you may have completed, that you do not move too far away from this important yardstick. You will find on such developments, when you are removing structural walls, renewing all major plumbing and gas pipework, altering ceiling and floor levels to maximise useable living space, the costs can soon wrack up! You will also need to factor in professional fees for architects and such like. Once you have worked out values for points 1 and 2, you are then in a position to calculate what you can afford to pay once you have also allowed for the profit you want out of the deal. Make sure you put a healthy figure in for your profit, as such projects typically take a long time to complete and often overrun. They can also be very stressful and energy sapping! This is becoiming increasingly common, as landlords look to protect themselves from government policies which have been reducing profit margins.There are some good solid reasons for doing this. I list the main 7 below. Yields are typically a lot higher (as generally you are dealing with much bigger units). Planning permission will often not be required and when it is, due to national planning policy being favourable in this regard, there is more of it being granted. SDLT on a 'second' home should not be payable, as non-residential and mixed use are exempty from this. Competiion from other inverstors may not be as fierce as in the residential market, however as this becomes more popular this benefit will subside over time. No chain.....many such properties are not involved in long chains, making such purchases usually a lot quicker and with no risk of a 'chain collapse'. Vat (currently 20%) can also be avoided if you issue the seller with a 1614D form. Another good benefit, is VAT is reduced from 20% to 5% when you convert commercial to residential. Unfortunately, as with all things in life, there are some not so good sides! Here are the 7 downsides. You will have spend more money on professional fees, you will have costs on achitects (even if you don't need planning it's good to have one on board) and you will probably have to get more detailed specialist searches ie abestos reports. Whilst the converstion is taking place you will probably need to carry the costs of business rates, you should always check what rate is payable with VOA website. You will need to think carefully about the location, tenant demand and making sure the conversion meets the local markets requirements. You will also need to consider how is the building to be managed, bigger buildings needs more routine management. You will also need to consider who will find the tenants on an ongoing basis and deal with all tenant issues once tenants start to occupy the building. Conversions can become money pits, especially when you consider there will be a lot more unforseen situations... have a healthy contingency in place! The finance required will be different to a normal purchase, this will be a lot more costly than a residential purchase and depending on what product you take there maybe hefty penalities if you don't repay in the required time. The full affects of the above act, are now well under way. The name of the legislation would perhaps make you think it has nothing to do with landlords, however it really does. In increasingly fraught times for landlords, it's very important you understand how this relates to regaining possession of your property, especially where you have a bad tenant. Landlords will understand that to remove a tenant, they need to serve a correctly completed section 21 form. However, it no longer just enough to complete the prescribed form correctly ie getting your dates correct! If you fail to comply in other regards, they may invalidate the notice. What are these 'other regards.' I have put in brackets if this is a new of an existing requirement. *There has subsequently been more legislation passed in relation to minimum standards regarding EPC's, see my other recent post on this. What are the consequences of getting any of the above wrong? In short if you have not followed any of the above and you then complete the required court documentation (thinking your section 21 is valid), if the tenant objects and their objection is proven, you will then to start the whole process again, making sure you correct any none compliance. You will also probably have to repay the court fee, which is circa £400.00+ the cost of the solicitor/professional (if relevant). Landlords who self manage, may well want to consider at the very least using an lettings agency to find a tenant and correctly set the tenancy up. Those who already use a lettings agency, should at the very least comfort themeselves that their choosen agent has fully complied. Paying an agency and getting the job done correctly do not always come hand in hand! Chester- How much is the average property price in different parts of Chester? Hoole with it's large concentration of terraced properties is centrally located and it's only a five to ten minute walk to the city centre.The average property price currently stands at £236,739. During the last year, sold prices in Hoole were 5% up on the previous year and 6% up on 2015 when the average house price was £223,950. These rises are not as high as Chester as a whole which is a little surprising given it's popularity amongst young professionals and families alike. Handbridge does not have as many terraced properties as Hoole, so it's perhaps no surprise that the average price is a little higher in this location. The average property price in Handbridge currently stands at £282,166. Overall sold prices in Handbridge over the last year were 3% up on the previous year and 13% up on the 2010 level of £250,231. These represent more modest rises than Hoole, which perhaps demonstrates there are fewer buyers per property than in Hoole and sellers need to be a bit more flexible in price negotiations. However the trend is still up and that's unlikely to change any time soon in our opinion. Boughton houses prices are very smilar to Handbridge's with an average price of £284, 684. But year on year over recent years has outpaced it's other rivals. During the last year, sold prices in Boughton were 20% up on the previous year and 17% up on 2015 when the average house price was £243,759. This perhaps reflects the fact that it has a thriving student community and there is a lot of demand when certain property types comes on the market. Investors in this location can be sure of higher rents due to the high student population in the area. Blacon is not as centrally located as the other areas in Chester and as such it's not within walking distance of the city centre. Prices accordingly as you would expect are a lot lower, with the average price currently standing at £142,908. Again there is good demand for the right rental property in this location and since 2014 prices are up 11%. In my opinion investors may benefit from longer average tenancy lengths in this location, as you will be renting perhaps to older family types. Older family types will usually want to tie down longer term routes in the area and may well already have lots of friends and family in this location. A smilar location to Blacon in many respects, here you will find a large concentration of ex council properties. This is perhaps why prices lag a little behind other parts of Chester* The average price currently stands at £164,371. In the past year house prices in Lache were 5% up on the year before and 5% up on 2015 when they averaged at £156,194. The housing stock is generally very good and with many of the properties being ex council you get lots of bang for your buck! Your profile of tenant will be similar to that of Blacon. In some parts of the Lache, you can still buy properties for around the 100k mark, so potentially some good yielding property can be bought here! Chester is an excellent location in which to invest. It has a good local economy, benefitting from a thriving tourist industry amongst many others. Many of the social problems faced by other inner cities are not as evident in Chester. All things being equal as an investor you will generally have minimal void periods and a good selection of quality tenants fighting over your property. In our view buying in and around the areas around the city centre, will represent the least hassle from a 'management' point of view whilst also giving you good opportunities of capital growth. However if you are in search of a 'bargain' perhaps the Lache might be the one to focus on, were yields also might be that much higher. Disclaimer: All the views in this article are those of the author and they should not be relied upon as constituing proper professional advice, readers should always seek proper professional advice prior to making any financial commitment/transaction. All the property figures qouted above, were taken from Righmove and were accurate as of 03072018. Chester- Struggling with property yields? I wrote in my last article comparing different parts of Chester within which to invest. Investors may choose to invest in a location for a number of factors, yield should always be an important factor as capital appreciation is less certain and potentially more volatile. Chester is a very good place to invest. However is it always the best place to invest from a yield point of view? Probably not. See this recent article (www.totallymoney.com/buy-to-let-yield-map) of the top 25 locations from a yield perspective. You will see that Chester doesn't feature. Admiteddly sometimes the research isn't always as thorough as it might be and such articles do not give you the whole story in terms of the challenges many of these 'top buy to let' areas face, however it does give the Chester investor food for thought. Here are my top two tips for an investor in Chester wanting to improve their property returns. The second strategy is to invest in areas further afield from the town centre and even other locations close by. You may well feel you are going out of your comfort zone here, but with a good team of local professionals in place ie a good letting agent to source and manage the property this shouldn't present a major problem. Our Top tip: For instance within an approximate 20 minute drive of Chester, you have Ellesmere Port. Two to three bed terraced properties can still be readily bought for 80,000 to 100,00 and rented out for between £525 and £595 PCM. It is important to remember when looking at any statistics, they are giving you bland averages. Smart investors, be it in Chester or elswhere can buck the trend, however you need plenty of time and experience to find the 'golden deals' in any location. If you are short of such time, looking in locations that meet your criteria is a smarter way to invest. Not sure what you criteria is? Give it some thought, as your property criteria can have a massive impact on your ultimate success as an investor. Disclaimer: The views expressed in this article are those of the author alone and not should be replied upon as constituting financial or other advice, readers should consult the relevant professionals for such advice. Contact us at us on +44 151 356 7551 for a free rent appraisal on your property.